The red poinsettia has been a holiday favorite for generations…and for a very good reason. It practically screams "Merry Christmas!" 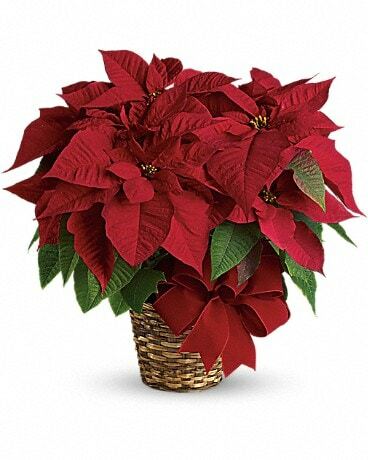 A magificent 8 inch poinsettia in a beautiful holiday pot with added holiday decor.